In the absence of a Chairman, Ms. Mulligan called the meeting to order at 5:00 p.m. In attendance were Commission members Owen Bailey, Ted Gallo, Nancy McGuire and Alice Ritchie, Kees de Mooy (Zoning Administrator), Jennifer Mulligan (Town Clerk) and guests. Ms. Mulligan welcomed Mr. Bailey to the Commission. Ms. McGuire moved to appoint Ms. Ritchie as acting-Chair for the meeting, was seconded by Mr. Gallo and carried unanimously. 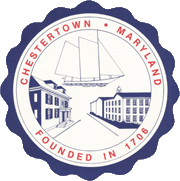 Ms. Ritchie stated that the Chestertown Historic District Commission takes its authority from Chapter 93 of the Code of the Town of Chestertown and operates under the Historic District Design Guidelines that were adopted by the Mayor and Council of Chestertown on October 7, 2002 and revised March 7, 2012. Ms. Ritchie asked if there were any additions or corrections to the minutes of the meeting of February 7, 2017. Ms. McGuire moved to approve the minutes of February 7, 2018; incorporating corrections noted in an email dated March 3, 2018 from Ms. Jorgenson, was seconded by Mr. Gallo and carried unanimously. Ms. Ritchie stated that there was one item on the Consent Calendar which was BP2018-20 from Jeffrey and Susan Coomer at 405-C Cannon Street for a fence. Mr. Gallo moved to approve BP2018-20 for a fence at 405-C Cannon Street as submitted as it was in keeping with Historic District Guidelines V.5 Walls and Fences, was seconded Ms. McGuire and carried unanimously. Ms. McGuire asked that the applicant note that pressure treated wood must be stained or painted. The next item on the agenda was BP2018-03 from the Garfield Center for the Arts at 210 High Street for a marquee sign. Ms. Julie Lawrence, a member of the Garfield Theatre’s Board of Directors was present for the application. She said that the sign would be on the front of the building above the double doors replacing the moveable letter sign that was in place before the renovations. Ms. Lawrence stated that the sign would be white with black letters and promote the performances at the theatre, taking the place of banners that they hang now. She said that there was an option for the sign to be backlit but the theatre understood that internally lit signs were not allowed. She said that they would not hook up the electricity to the sign. Ms. McGuire asked if the signage would show sales or pricing. Ms. Lawrence stated that she thought it would all be for programming information. Ms. McGuire stated that she mentioned this because the permission would carry forever. Ms. Ritchie asked if the signage would just be the white if there was not a show. Ms. Lawrence stated that when there were no letters on the sign it was completely white. She said that there was the mention of “Happy Holidays” when they were closed for the season. Ms. McGuire stated that this was what she did not want to see happen because the language could turn into anything such as “Sale at Walmart”. Mr. Gallo stated that there was a marquee in place once upon a time and there was photographic evidence from 1988 submitted for the record. Mr. Bailey agreed, stating that his sister was married at the theatre and they had their name and wedding date on the marquee during the day. Mr. de Mooy stated that it was like that on his wedding day as well as he was also married at the theatre. Ms. McGuire stated that the application indicated that the marquee sign was in place in the 1950s. Mr. Bailey stated that this marquee was similar to the Avalon in Easton. Ms. McGuire stated that she researched the theatre at the Historical Society and said that when it was built there was not a marquee in place, although there may have been in the 1950s. Ms. McGuire the sign dimensions. Ms. Lawrence stated that they tried to find the exact size dimensions of the space over the door but it appeared that there was a 16” more than needed in the existing areas so there will be 8” on either side. Ms. McGuire asked about the font of the letters. Ms. Lawrence stated that she did not know what the size was but they were shown in the image of the marquee sign submitted. Ms. McGuire asked if the sign was glass or plastic. Ms. Lawrence stated that she thought it was plastic. Ms. McGuire stated that she was bothered that the beautiful glass work on the front of the building would have a plastic sign behind it. Ms. Lawrence stated that she did not think that glass would be practical. Mr. Gallo agreed, noting that the letters were removable. Mr. Bailey also agreed, saying that the staff would be changing the letters and glass would not be the best material. Ms. McGuire stated that she thought the glass should be behind the metal strips where the letters hang. Mr. Ed Maxcy, a resident in Town, stated that he was interested in the theatre and said that he thought that the sign was needed because right now it did not look like the theatre is open. She said that having a movable sign would be an advantage to the community and the theatre. Mr. Jay Yerkes of Yerkes Construction stated that he performed the renovation on the Garfield Theatre and removed the broken box sign that was in place, noting that it was glass. He said that the sign was also internally lit and did not know why it should not be able to be lit. He said that the Garfield tried to approve an LED sign and the Historic District Commission strongly encouraged replacing the marquee sign that existed with another sign. Mr. de Mooy agreed. Ms. McGuire stated that encouragement was not approval. Mr. Yerkes stated that he did not understand why the Commission would encourage something if it was not going to be approved. Ms. McGuire stated that an approval would have had a formal motion. Mr. Yerkes stated that a movable letter sign like the one that existed previously was the right thing to do and was completely appropriate to the theatre. Ms. McGuire asked about back lighting. Mr. de Mooy stated that the sign ordinance does not permit internally lit signs and he did encourage the applicants not to backlight the marquee but to use the indirect lighting that exists under the marquee, to which they agreed. Ms. McGuire stated that the building was constructed in 1926 and she did not think that a 1950s sign was correct, noting that there was documentation on the history of the building in the information she provided. Ms. Ritchie asked if the Commission was ready to make a motion. Mr. Gallo moved to approve the BP2018-03 as presented as it was keeping in keeping with III.13 Signs of the Historic District Design Guidelines. The motion was seconded by Mr. Bailey. Ms. McGuire asked for an amendment to the motion that the sign be glass and not plastic and, if possible, fill the space. Mr. Gallo stated that the application was presented and he did not think that materials should be changed; noting that the applicant said that she thought the sign was plastic. Ms. Lawrence stated that she did not know if they made this type of marquee in glass. Mr. Gallo stated that there was testimony that the last sign was glass and it was broken. Ms. Lawrence stated that she thought it would be safer to have plastic rather than glass. Ms. Tess Hogans, Garfield Theater Director, entered the meeting and confirmed that the proposed sign was plastic. Ms. McGuire stated that she also wanted a second amendment that the sign only be used for programming at the theatre. Mr. Gallo stated that he did not see a problem with the theatre having the sign as submitted and he also did not have anything against messages from the Garfield when programs are not in place. He said that the Garfield Theater is a responsible organization and he did not think that they would put anything inappropriate on the marquee. Ms. Ritchie asked that Ms. Mulligan read the motion into the record again. Ms. Mulligan stated that the motion was Mr. Gallo approving the marquee as submitted (with no amendments), which was seconded by Mr. Bailey. Ms. Ritchie called for the vote. The motion carried with three in favor, Ms. McGuire opposed. Ms. Mulligan stated that the applicants for BP2018-05 and BP2018-06 were not prepared for this meeting and both requested that their applications be tabled for the April meeting. Mr. Gallo moved to table BP2018-05 and BP2018-06, was seconded by Mr. Bailey and carried unanimously. The next item on the agenda was BP2018-22 from Walter Adams at 220 S. Water Street for an exterior stair. Mr. Walter Adams was present for the application. Ms. Ritchie read the application into the record. Mr. Adams stated that this proposal was for a 6’ x 8’ deck with stairs to the second floor of his residence. He said that he designed the stairs in an effort to minimize their view from the street. He said that with the large building at the marina being demolished in the future, he was looking forward to sitting on the second story deck and look out at the water. Ms. Ritchie stated that she was not clear where the landing would be located. Mr. Adams stated that the landing would be over the bumpout on the first floor. He showed photos to the Commission. He said that the stairs would be tucked behind the shed. The same style railing that exists on the carriage house (photo shown) near his property. Ms. McGuire asked the purpose of the deck. Mr. Adams stated that he and his wife wanted to enjoy the view of the water. Ms. McGuire stated that a garden was planned where the building across the street was located so the water could be seen from the front porch. Mr. Adams stated that there would be a sculpture garden and boats in the lot and the view would be much nicer from the second story. He said that grandchildren will be staying with him for summers and he was planning space for them as well. Ms. Ritchie asked if the deck would be supported the same way the neighbor’s deck was shown in the photos. Mr. Adams stated that it would be similar to the photograph which depicted the railings and said that he would use cypress for the rest of the project, which would be stained. He said that the door he was adding would also be stained mahogany. He said that his house was built in 2007 and the shed was added after that. Ms. McGuire stated that a problem that the Commission has is with setting a precedent. She said if this was allowed there were going to be more applications from people who wanted to view the river from the second floor and she was not sure if exterior stairways attached to buildings in a single family dwelling was appropriate. Ms. McGuire asked if Mr. Adams planned to use his front porch for river viewing. Mr. Adams stated that it was possible he would use the front porch but they would like to also have a porch on the second floor in their house. Mr. Gallo moved to approve BP2018-22 as submitted for stairs and a second story porch, was seconded by Mr. Bailey and passed with three in favor, Ms. McGuire opposed. The next item on the agenda was BP2018-21 from KIT Team and Yerkes Construction for exterior renovations at 236 Cannon Street. Mr. Christopher Frank of Hammond Wilson Architects and Mr. Jay Yerkes of Yerkes Construction were present for the application. Mr. Frank stated that since the original packet was submitted they had done structural analysis on the interior portion of the building and some minor changes were made to the exterior plans as a result. He distributed new material packets to the Commission. Ms. Ritchie asked if the plans were ready for the building permit. Mr. Frank stated that he was hoping to submit building permit plans based on this presentation. Mr. Frank stated that he approached this project as thoughtfully as possible, noting that the owner was submitting for historic tax credits. He said that he tried to make minimal changes while maintaining the historic character of the property. In seeking replacement materials, he said he would be sure to differentiate old from new while remaining compatible. Mr. Frank stated that the site was a condominium regime consisting of three buildings. This project involves the building formerly known as the “Blue Heron Café”. Mr. Frank stated that the Eastern Shore Food Lab would be a space for Washington College faculty and students to learn about food through teaching, learning and research opportunities using food system solutions that are economically, environmentally and culturally sustainable. Mr. Frank gave a PowerPoint presentation and shared photos with the Commission. He said that in order to allow for a demonstration kitchen the interior would almost be completely gutted. The building was constructed in 1932, but there was very little historic fabric on the interior as it had been renovated many times over the years. Mr. Frank explained the proposed interior in detail, noting that when classes are not being held there will be events for the public. Mr. Frank stated that there will be a bread making oven, fermentation rooms, and television screens to show the preparation of the foods, walk-in coolers with offices and labs on the second floor as well as a small residence for visiting professors. He added that if budget constraints come in to play, the second floor may remain unfinished. He said that he knew that the Commission did not rule on the interior of the building but he wanted to show it so it was understood why the equipment, and its placement, affects the exterior. Mr. Frank stated that the masonry bread oven will be located in the courtyard where there are currently 2 doors but it was originally a single garage door. He said the oven is based on historical designs and would be placed in the existing opening with very little if any changes to the structure. Mr. Frank stated that doors at the bottom and top stairs had to be widened and swing out. He said that the neither door was historical and dated back to the 1970s as told by their consultant, Cherilyn Widell of Widell Preservation Services. Doors were a mix of three-quarter wood panel or full length French doors. 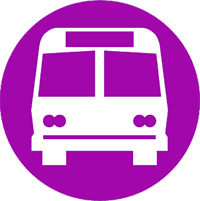 Mr. Frank stated that the existing fabric canopies were in various states of disrepair and would be replaced with better proportioned fabric canopies. Mr. Frank stated that an existing side door was too narrow and had to be at least 3’ to serve as an ADA entrance. It will be removed and replaced with a full length French door. Mr. Frank stated that he wanted to preserve the overhead garage door on the front of the building but there was too much rot and evidence of water damage. He said that he would remove the door and replace it, although a solid wood door may not be possible. He said that he may have to put a wood face on to a metal panel door in order to replicate it. This garage door would be a key piece of the program as it would connect the interior of the food lab to the courtyard. Mr. Frank showed two windows which had to be removed and would be replaced with a door as required for life safety purposes. He said that the entry door and the door on the side were too close together and there was a separation requirement for exits. Mr. Frank stated that the bread oven would sit on a podium approximately 3’ high and the oven was 2’6” tall. He said the oven would be inserted into the double-door entry. It will be built with a brick base, board and batten hardiplank siding, and a zinc coated copper standing seam metal roof. The brick would match the existing brick on the front of the building. Mr. Frank stated that the flue for the bread oven will come from the inside of the building limiting the impact on the exterior. He said that because the oven was wood burning the flue would have to be 2’ higher than any surface 10’ away. He said the building was to become something else in the future the flue would be easy to remove. Mr. Frank stated that currently there were three condensing units on site. He said that the equipment is not up to code and would require two through the roof exhaust systems and several refrigeration units for the fermentation labs and walk-in coolers. Mr. Frank stated that they would have five condensing units. Currently, the condensing units are hidden under the rear stair. He was proposing to line the condensing units against the existing masonry wall with paneled gates in front to screen them. He would place the refrigeration units under the stairs. He showed the two ventilation hoods that will be on the roof, noting that he placed the hoods as discreetly as he could while remaining code compliant. Mr. Frank stated that the rest of the project was basically maintenance with painting and restoration of existing materials. There may be new lights in some areas and said that the proposed lighting was included in the packet, but he may also move period lights on the building to the first floor. Mr. de Mooy asked if the new garage door would be operable. Mr. Frank stated that it would be operable and would roll up. The existing door was not operable. Ms. McGuire stated that she thought very little was changing on the exterior. She asked if there would be any changes to the stairway. Mr. Frank stated that he did not think that the stairway would change, but when the inspector looked at the plans he would know if any modifications were necessary. He said that any changes would come back to the Commission for approval. Ms. Ritchie asked is the roof was being replaced. Mr. Frank stated that architectural shingles exist on the high portions of the roof and would be replaced with new architectural shingles. He said that the red roof may be painted. Ms. McGuire asked if it would be possible to see a cut sheet of the garage door. Mr. Frank stated that he would be happy to submit one when a model was chosen. Ms. Jeff Weber of Main Street asked if there was a timeframe on this project. Mr. Frank stated that they were supposed to have the project finished by the Fall 2018 semester. Ms. McGuire moved to approve BP2018-21as submitted, noting that the replacement doors will be wood-clad and ADA compliant and that any new wood will be stained or painted and a preference for a wood clad garage door over metal as it complied with the Design Guidelines III Rehabilitation and Maintenance of Existing Structures, was seconded by Mr. Gallo and carried unanimously. The Commission decided to hold a work session discussing Rules of Procedure immediately following the meeting of April 4, 2018. There being no further business, Ms. McGuire moved to adjourn the meeting at 6:10 p.m., was seconded by Mr. Gallo and carried unanimously.